How do style and warmth go together in the winter? It’s not always easy to look super fabulous and to stay warm. 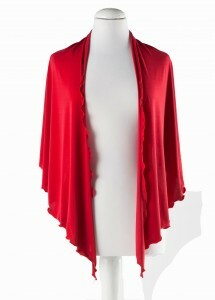 But I’ve been wrapping myself up in this gorgeous wrap by Chilly Jilly and it’s proven to be a hit. 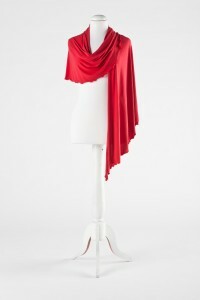 This Saturday I wore a cocktail address to an event and over my shoulders I threw this wrap to keep out the cold. ‘Don’t you look the bees knees!’ commented my friends. ‘It’s my new best thing ever,’ replied I. Now they all want one! Chilly Jilly wraps come delivered as a treat in themselves in a silk bag. You can get your mitts on a Chilly Jilly Wrap, Wrapper Blanket, Jilly Jacket, Lounge Pant or set of Gloves and the best thing is you can keep them right in your purse. I keep mine with me so I will be prepared for every air conditioning vent, airplane nap, beach sunset, theater performance, stroll in the park, cold day at the office. I love mine and suspect many of my girlfriends will be receiving them for birthday presents if they don’t order their own! I’m also in love with the Duelette, which, for someone with super long hair like me, is a wonderful find! The Duelette bracelet can stay on your wrist and, as they say, you’ll never have to sacrifice style for comfort again! This stylish accessory is also a hairband and I need this EVERYDAY when I work out, and then it looks amazing as a bracelet. It ensures that you’re ready for anything – wind, heat, humidity, a trip to the gym, even an impromptu dinner date. The beads are 14k gold and silver plated for shine and durability and can be worn alone or together to create different looks for different occasions. 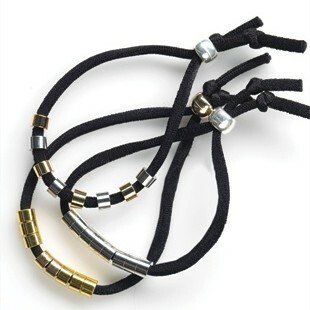 Bands come in black or white and the beads are gold, silver or a combination. I adore mine. Recently I entered another beautiful, freezing restaurant and not only pulled out my Chilly Jilly but saw one across the room. I think we were the only two comfortable women in the room! !